The music teacher magazine has been inspiring and informing music teachers and other related staff members since 1908. 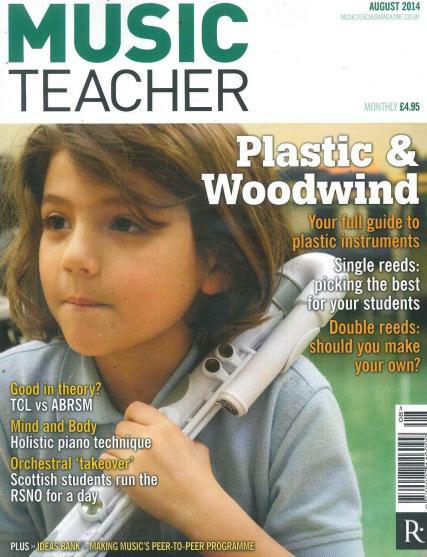 Buy a single copy or subscription to Music Teacher magazine. The magazine successfully covers all that could be of interest of a music teacher and aspirants who either want to learn music or want to become a proficient music teacher. It consistently thrives to make the profession more enjoyable and livelier than ever before. Exactly for that reason, the Music teacher magazine features the informative music bulletin to keep you updated on the latest happenings in the music world. It has details of various music shows, charity shows and competitions. Also featuring in the Music Teacher magazine is the interactive competition where you can win lot of prizes for yourself and for your school.